Lebanese director Nadine Labaki has won prizes and golden opinions for her eye-watering film ‘Capernaum’ which premiered in Cannes Film Festival where it also landed Cannes Jury Prize last summer. It was also nominated for best foreign language film at the last edition of the Oscars as well as the best motion picture foreign film at the Golden Globes. Right from the beginning, the film captivates the audience by presenting a young boy, Zain, who is the main character in the story in court where he announces that he wants to sue them for bringing him to this world and failing to provide for him and his siblings. The scene then transitions to the story of Zain, although we never really know his real age nor do his parents or the Lebanese authorities, is believed to be 12-years-old who is carrying heavy despair in his eyes. A face that is young and soft with feature of distress, pain and age as though he has seen it all, because in fact, he has at a very tender age. We see a child who is forced into adulthood while he works with Assaad, a neighborhood business owner who manages a kiosk and a real estate owner amongst other things, to provide extra income for his family. As Zain carries boxes, we see him longing for another future as he sees other children his age riding the school bus with heartbreak in his eyes. This film tackles multiple social issues making it very difficult to digest instantly. When families can no longer provide for their children, the girl child is often the first to be disposed off as soon as she starts menstruating, because it is cultural practice that once she becomes a wife, she becomes her husband’s responsibility. He is the one who should then feed her and house her, while in return, the child bride must sleep with him. This becomes very evident when Zain’s parents decide to marry off his 11-year-old sister in return for money. To Zain, the main villains here are his parents, who he blames for marrying off his sister, but the pain and despair we see in his mother’s eyes while she sits before Assad, the husband, and his father is gut-wrenching as she forces herself to smile. The heart-aching battle between him and his mother as his sister, Sahar, as she screams in agony refusing to be sent away echos how most girls feel when they are forced into a marriage. His resentment drove Zain to leave his family as he stops at a theme park after a very comedic interaction with a man dressed like Spiderman but refers to himself as ‘Sarsourman’ (Cockroach Man). In his pursuit to find ‘Sarsourman’, Zain stumbles upon Rahil, an Ethiopian illegal migrant who works at a restaurant. The opportunistic young boy looks for a job in the area and after a long day of hunting, Rahil decides to house him and feed him while in return he takes care of her little son Yonas, who she has been secretly bringing with her to work. Here, we see the struggle an illegal migrant worker has to go through as she leaves her initial employer in the name of love, gets pregnant with Yonas as her partner abandons both of them. She buys a fake ID to remain in the country. The trouble she has to go through to make money not only to live but also to pay the dealer who exploits refugee workers’ fragile state and desperateness. 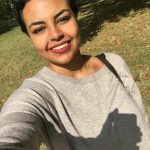 Rahil gets arrested for remaining in the country with an expired and illegal ID leaving her son, Yonas, behind. The pain expressed in Rahil’s face is truly depressing while she is forced abandoning her child entrusting him with another person who she treated as her own son. Even though Zain tries his hardest to provide for him and Yonas by selling water mixed with Tramadol, a skill he learned from his family, it did not last long before he had to opt for a hasher decision with tears streaming down his face, giving away Yonas thinking he would be safer with a family. Instead, Yonas becomes a victim to child trafficking. Meanwhile, in an attempt to flee Lebanon for better life conditions, Zain goes home to grab any form of identification, which he does not have because of his family’s poor conditions resulting in preventing him from any rights including education and medical assistance. He learns that his sister died once she got pregnant, because she too does not have any legal papers identifying her which prevented her from accessing the hospital. Out of anger, he runs aways and stabs her husband Assaad, a crime that lands him in a jail cell with tens of other boys his age. There, he makes a call to a TV program declaring his lawsuit against his parents once he heard that his mother is pregnant. This was a turning point in the film, parents who are already failing to provide for their children, unexpected bare another child believing in the Arabic proverb “Every child comes with his livelihood.” This deeply entrenched belief that every child will come with his own livelihood regardless of the living conditions of the parents. We see this practice in most, if not all, of the Arab region and this leads to poor family planning, because the parents believe that their conditions will improve once they have children. 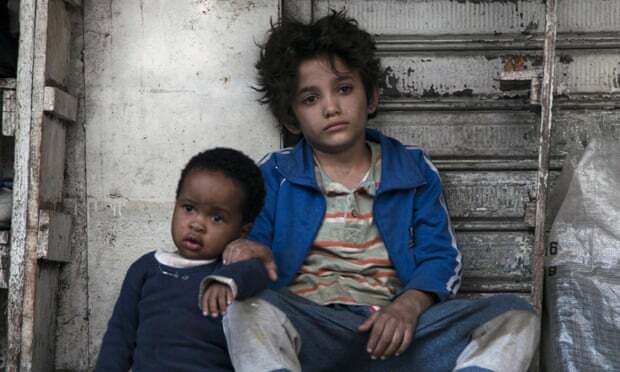 ‘Capernaum’ means chaos, which sums up the events of the entire film. It is a reflects real life events that happen in the casts’ lives. The film ends abruptly. It is sad and there is no light at the end of the tunnel. Because, since it is based off of real stories, there is indeed no ending. Although to different degrees, the problems the film tackles are present not just in Lebanon but across the region.